The tradition continues as BIFF presents its 14th installment of the Silent Film Showcase. 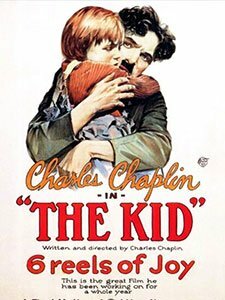 This year’s selection is the 1921 Charlie Chaplin masterpiece, THE KID. The opening title reads: “A comedy with a smile—and perhaps a tear.” It’s Charlie at his best as The Tramp, who finds himself taking care of an abandoned child and facing a series of events that put their relationship in jeopardy. Hijinx, pratfalls, comedy and drama as only Chaplin can create. And speaking of tradition! The Beloit Memorial Jazz Orchestra under the direction of Chris Behrens will, once again, provide the musical backdrop for this special screening. This will be the third consecutive silent film performance by the nationally recognized, award-winning ensemble, and BIFF is tremendously proud to partner with such a marvelous collection of young local talent for its flagship film event. The program will be presented at Beloit Memorial High School auditorium which offers adequate seating and convenient parking. This was Chaplin’s first feature length movie as writer, director and star. And it’s a masterpiece. The little tramp finds an orphan baby and winds up raising him. Five years later the kid is a scrappy little guy that, thanks to the little tramps upbringing, is already an aspiring petty thief and huckster. The little tramp may not be the best parent in the world but their father/son relationship is genuinely touching and often hilarious. This is the little tramp at his most feisty. The scene where the kid gets taken away and the little tramp goes out the window, climbs over several rooftops, fights off a policeman, and jumps into a moving truck to save the kid is perhaps the little tramp’s finest hour. Sir Charles Spencer Chaplin KBE (16 April 1889 – 25 December 1977) was an English comic actor, filmmaker, and composer who rose to fame in the era of silent film. He became a worldwide icon through his screen persona, “the Tramp”, and is considered one of the most important figures in the history of the film industry. His career spanned more than 75 years, from childhood in the Victorian era until a year before his death in 1977, and encompassed both adulation and controversy. The BMJO has developed a tradition of exceptional and nationally recognized jazz music program. BMJO was first invited to the nation’s leading high school jazz band festival and competition Essentially Ellington hosted by Wynton Marsalis and Jazz at the Lincoln Center in New York City in 2009. Hundreds of high school jazz bands from across the country submit three performances for the judges of internationally known jazz masters at the Lincoln Center for blind review. Each year only fifteen are invited to New York for the nation’s foremost high school jazz band festival and concert. In 2012 BMJO was invited back again. And BMJO has earned an invitation back each year since. Quite a feet considering their competing with metros many of which are considerably larger than Beloit, arts magnet schools or both. The Beloit Jazz Band program is well known and recognized at the Lincoln Center in New York and among the greatest H.S. Jazz programs across the county. One thing that doesn’t get mentioned is the fact that these students aren’t just exceptional musicians, they’re also exceptional students. It should be noted that the average GPA of the student-musicians hoping to make it to Essentially Ellington this year is 3.6.